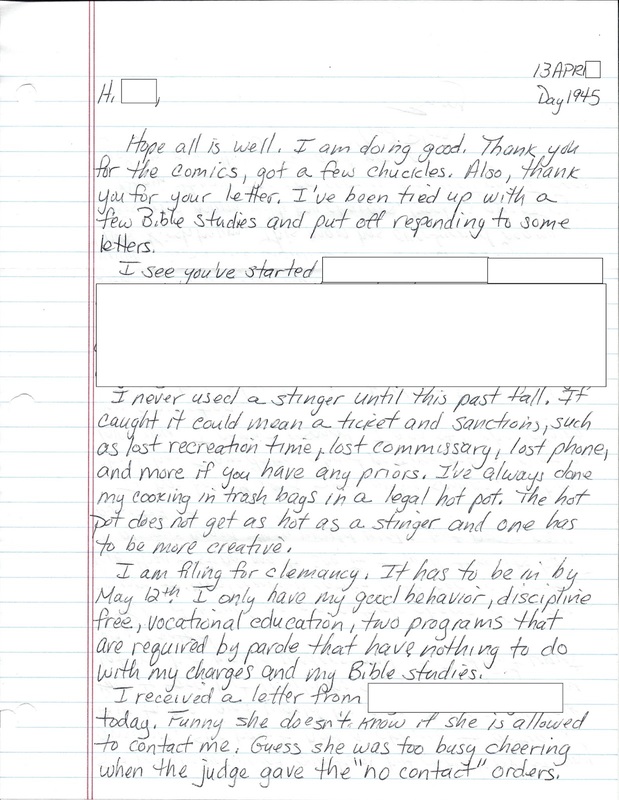 This is the fifty fourth in a series of letters written to and from someone currently in the custody of the Connecticut Department of Correction. 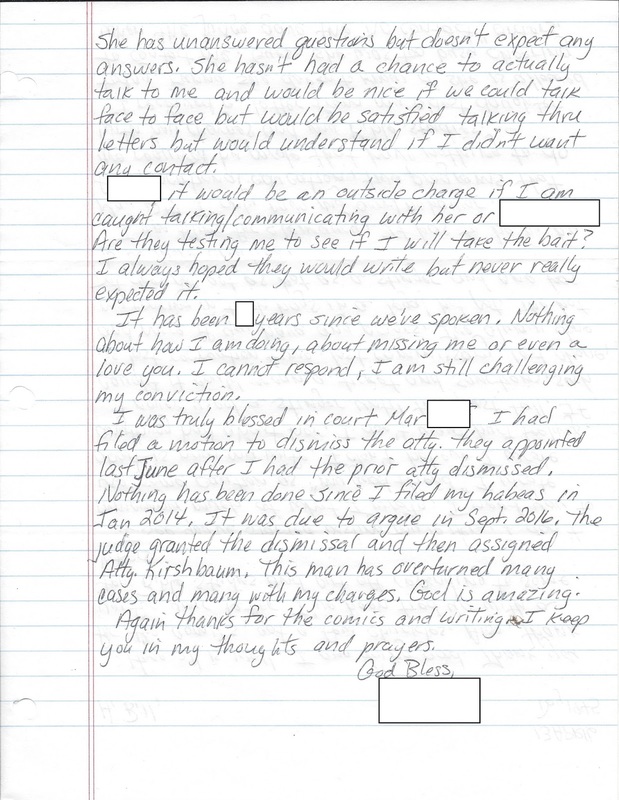 Three times per week, Mon., Wed., and Friday, one letter will be published until we catch up to the present day, at which time letters will be published as they are received. In this issue, our correspondent talks about the risk of using a stinger, filing for clemency, a letter from one of his children and getting a new attorney.